Shirt No. 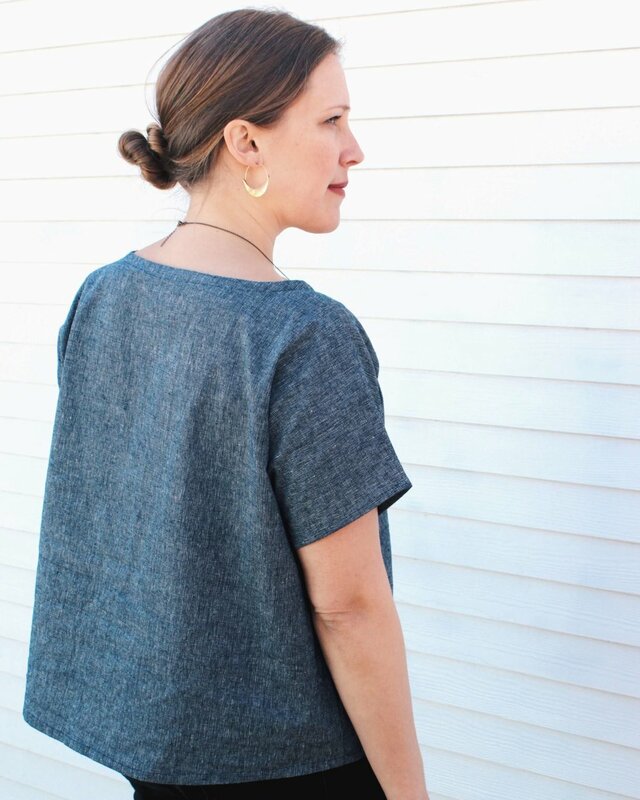 1 is the perfect linen shirt to tackle for beginner stitchers. This loose fit shirt is easy to wear and makes a great layering piece. Go home sporting a shirt that you made start to finish— with "I made this!" bragging rights. In this one-day sewing boot camp (with lots of snacks & coffee breaks), Lydia Rhyne, a garment sewing teacher with over a decade of experience, will lead you through all the sewing basics, from sewing machine set-up & translating sewing patterns—to hemming & attaching bias tape. No prior sewing experience is needed, and all machines and materials are provided. No prior sewing experience needed, but some is recommended. The Shirt No. 1 Maker Kit (+$45) is included in the price of class. We cut the yardage for your kit, ready for class! When you click to sign up, you’ll be prompted to choose your fabric color. Thoroughly enjoyed the shirt workshop taught by Lydia. She created a really encouraging, fun classroom environment that inspired me to believe I could do it. And I did! Her skilled but non-intimidating instruction resulted in a shirt I love to wear and can proudly say - I actually made this myself! Thanks Lydia and Klum House!